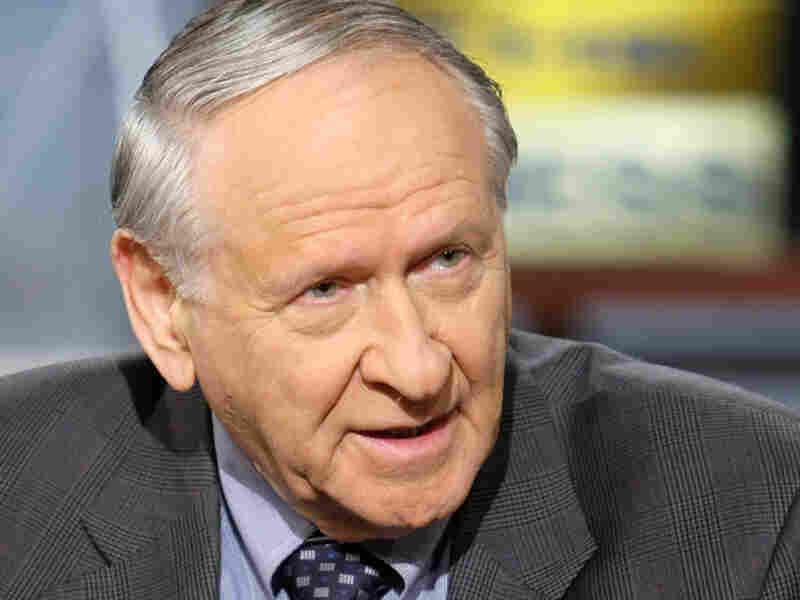 Columnist William Safire Remembered NPR Senior News Analyst Daniel Schorr says the death of New York Times columnist William Safire makes for a bleak Yom Kippur. He says that though the conservative libertarian was known to be combative, he was less known for his deep loyalties. This is the first time I have worked on Yom Kippur. I hope to be forgiven. William Safire on NBC's Meet The Press in 2007. On Monday evening, I should have broken the fast at the home of Bill Safire for the 40th time. Three weeks ago, Helen Safire advised that Bill was "feeling unwell," and the break-the-fast party would have to be next year. Bill was widely known for his acerbic wit and his way with words. For Vice President Spiro Agnew, he crafted a denunciation of media critics as "nattering nabobs of negativism." He would write a column calling first lady Hillary Clinton "a congenital liar" — then, deadpan, explain that he meant to call her "a congenital lawyer." But the former Nixon speechwriter could also make friends with President Carter's budget director, Burt Lance, after driving him out of office with revelations of financial improprieties. He won the Pulitzer Prize for that one. The combative, conservative libertarian Safire was less well-known for his deep loyalties. In 1973, he left his White House speechmaking job as the Watergate cover-up heated up. But, as a columnist, he never turned on President Nixon. Bill also was a great promoter of unpopular causes. He embraced the Iraqi Kurds, whom the CIA had led into a disastrous uprising. He more or less adopted me when I was in trouble with the government and CBS. He devoted a column to criticizing CBS Chairman William Paley, and backed me. On my desk sits a sort of memorial, a monkey wrench that Bill Safire sent me as a token of my disputes with the government. This is a bleak Yom Kippur.